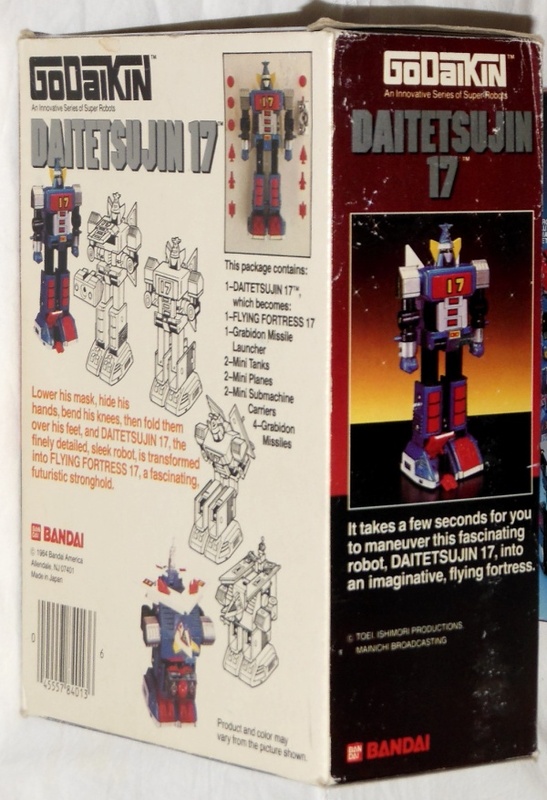 First thing I noticed about Daitetsujin 17 is that it is so heavy. 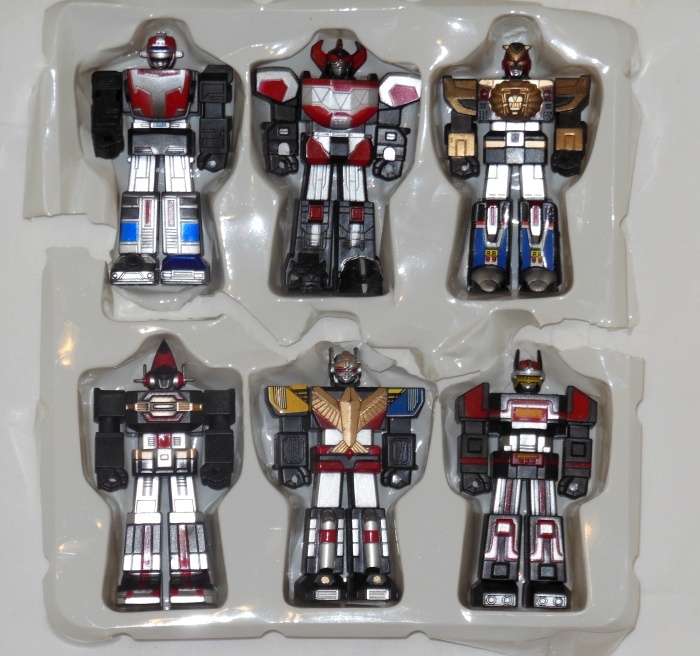 A majority of this robot is metal which is awesome. You can see it in the pictures. 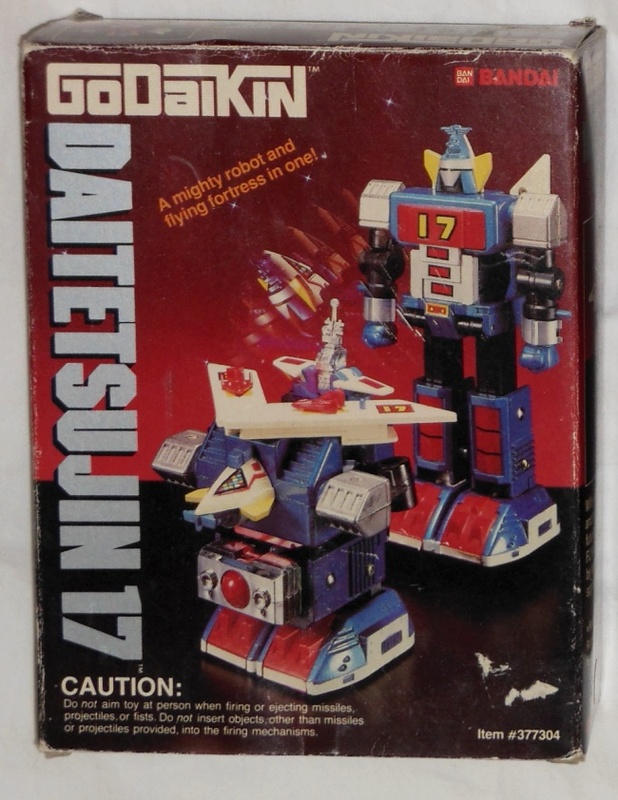 Daitetsujin 17 ‘s a pretty cool robot, not so good as a flying fortress. 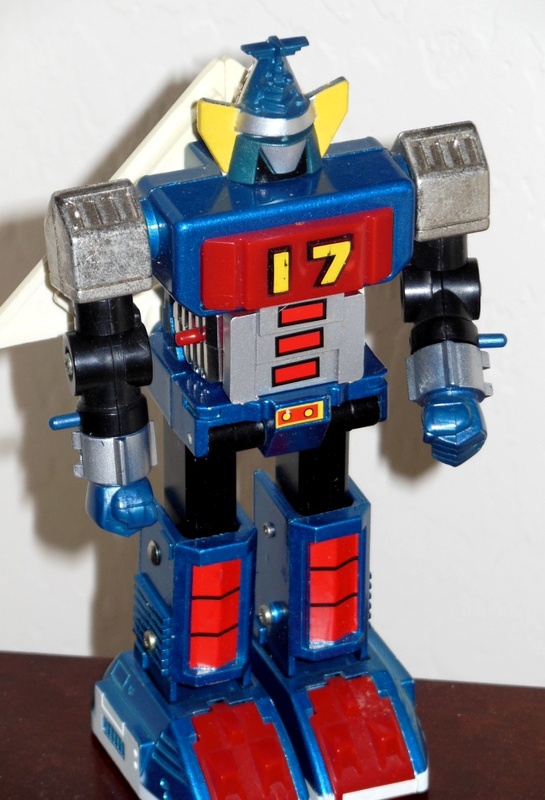 After watching the movie, I actually prefer the toy robot to the one in the show. I tried shooting the fists and the stomach missile and they got some pow going 5 feet. I have all the parts and it looks mint. I would have transformed it if I wanted too. But it didn’t look like it was worth the time. 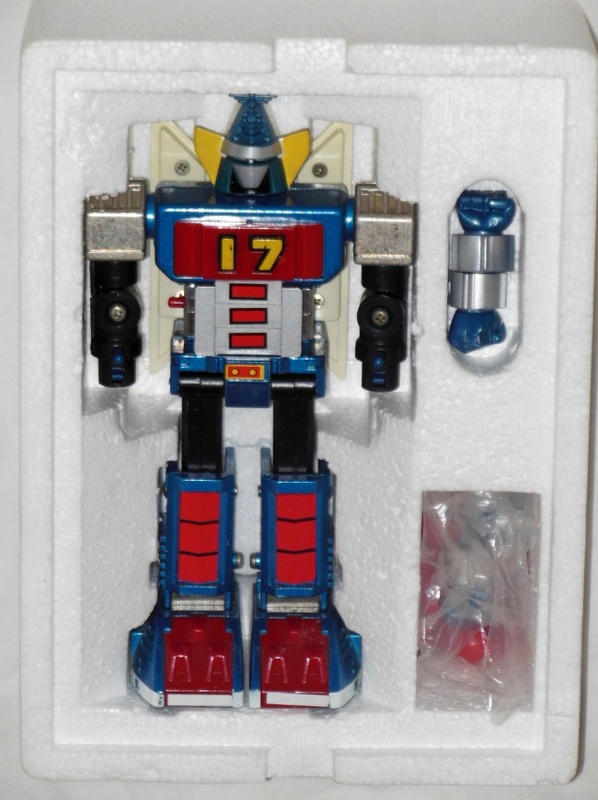 I like the blue and red color scheme and overall it is a nice looking robot. 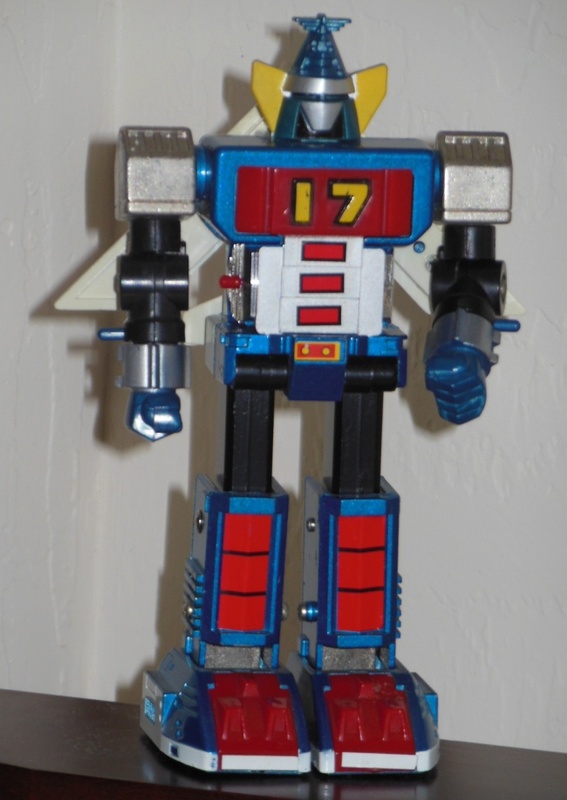 My only beef with this robot is that they could have made the arms a little more proportional to the body. 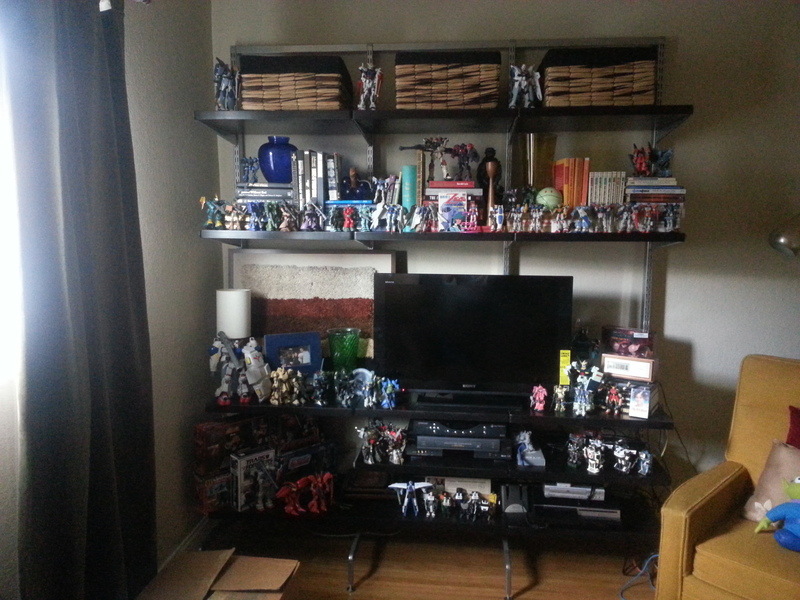 I really don’t have that many Godaikins to go to complete my collection. Too bad the last ones I need are so expensive. 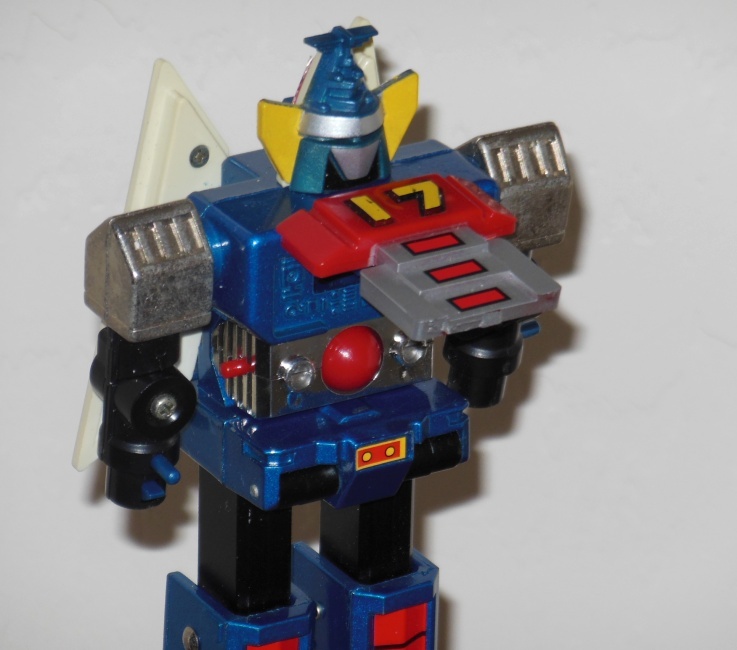 This robot hails from a live action “tokusatsu” show like Godzilla and Ultraman in 1977 all its cheesy goodness. Watching the intro seems amusing enough. I listened to the movie below and occasionally watched while I was writing this post. The movie Daitetsujin 17(大鉄人17)below appears to be a dubbed movie. The dub is so funny! OMG. The narration seems like something from Rocky and Bullwinkle. You should definitely watch this! Enjoy. 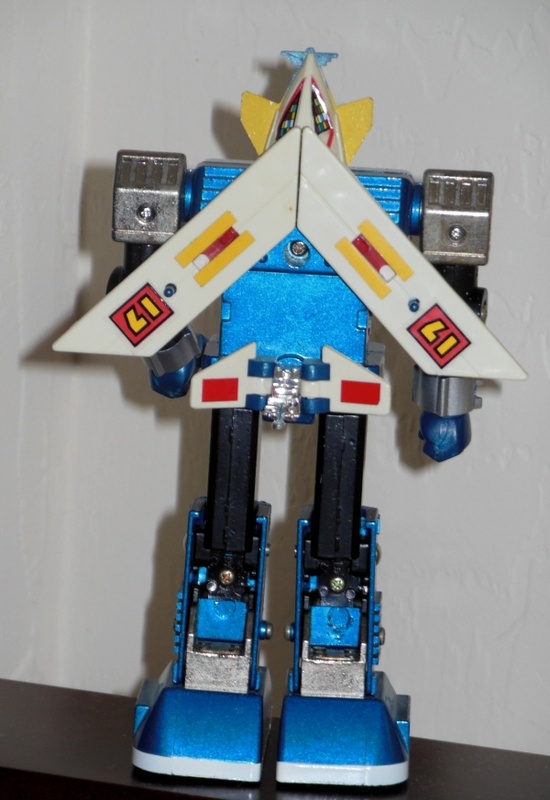 The open chest compartment and shooting chest missile. 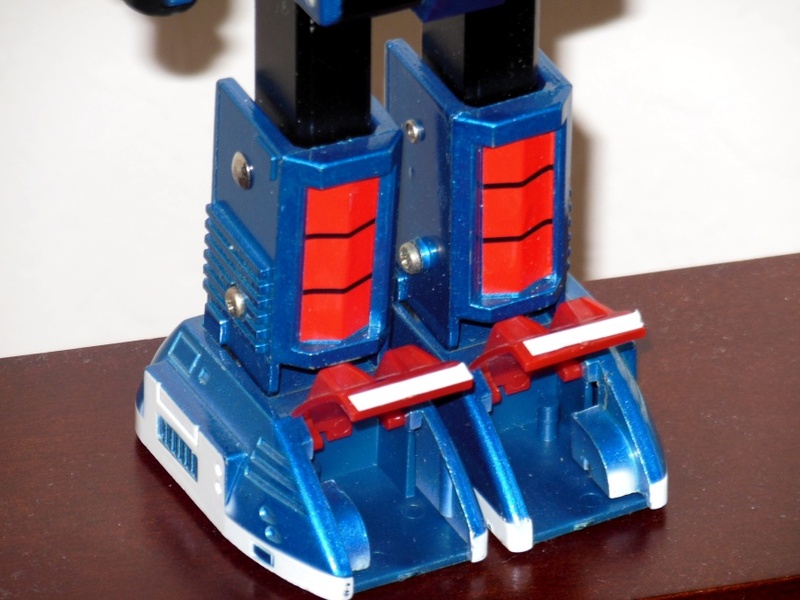 The foot compartments and robot legs.